Tongün Pano is the leading company which produces BMC (Bulk Molding Compound) and SMC (Sheet Molding Compound) in Turkey. From this material we started to produce electric, telecommunication, natural gas and water meter enclosures. In addition to these the we deliver very important parts of the automotive industry, electrical industry, telecommunication, natural gas and house appliances. We also develop our own SMC/BMC compounds containing polyester, glass fiber, mineral fillings, pigments and a variety of additives. We are experienced in manufacturing BMC (Bulk Moulding Compound) and SMC (Sheet Moulding Compound) and is producing several products to be used in automotive industry, electrical industry, telecommunication, natural gas and house appliances from these raw materials. We have the capability of performing all steps of manufacturing related SMC and BMC based products on project basis. In this respect, we could perform production of any tailored design project of any interested parties and are offering our expertise as trade intermediary. Through its expertise in SMC and BMC technologies and having competences in all manufacturing steps of products based on these technologies, we are looking for potential partner to perform project-based product manufacturing, as offering their respective services as trade intermediaries. We produce and develop SMC/BMC compounds to be used in glass fiber reinforced plastic components production. We are able to meet the desired physical and chemical properties in the end products with specially tailored SMC/BMC compounds for composite parts to be used in various kinds of applications. We are open to trade intermediary agreements with the composite parts manufacturers interested in supplying SMC/BMC compounds. We manufacture modern city infrastructure components made of glass fiber polyester based on SMC. These infrastructure components are loophole, drain hole and manhole covers, banks, speed breakers, pedestrian crossing and wood coasters. 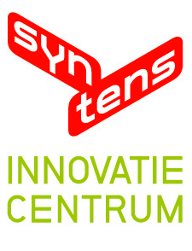 We are nterested in potential partners, especially municipalities and subsidies of municipalities, to offer our expertise in SMC technology and infrastructure components as trade intermediaries. Our product groups such as natural gas cabinets, electric cabinets, telecommunication cabinets, lighting and water meter cabinets have acquired major ISO and DIN standards and show great mechanical and chemical endurance under the test conditions. We are looking for trade intermediaries that could promote our product groups such as natural gas cabinets, electric cabinets, telecommunication cabinets, lighting and water meter cabinets in foreign markets. We have developed composite plates crosswalk with phosphoric and reflective properties. This product helps to minimize traffic accidents results in deaths or injuries. Composite plates have phosphoric feature which does not require repainting over the service years. In case of need the product can be dismantled and be moved to another spot. The surface texture of the composite plates avoids the problem of loss of phosphoric feature due to the vehicle tire tracks that covers the surface. 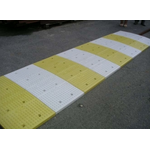 Composite crosswalk plates are designed in 50*50*2.5 cm dimension for being modular. The physical properties of the materials used in the composite pedestrian crossing fulfil the EN 1436-EQV and EN 1871:2000 standards. They are not affected by acid and fire. We are looking for licensing agreements with the firms engaged in traffic safety equipment manufacturers. We developed protective ballistic panels from solid fiber glass and resin to be used in construction and transportation sector. When compared with ballistic proof panels made from other materials such as metals or ceramics, the panels made from glass fibre reinforced plastics are much lighter hence do not put any restrictions to the design of the construction or the vehicle. Our panels can achieve the same protection with a lesser thickness and do not expand or contradict upon heating and cooling. We are looking for technical cooperation with the companies engaged in manufacturing of ballistic proof shelters or transport vehicles for development of new products.